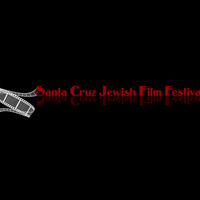 Established in 2000, The Santa Cruz Jewish Film Festival was inspired by the mutual love of Jewish film and baseball. We began with a single film, The Life and Times of Hank Greenberg, about the first Jewish ballplayer in the major leagues. With support from sponsors, community partners, volunteers, and patrons, the SCJFF has blossomed into a highly regarded cultural event. The festival is operated under the 501(c)3 charter of the Santa Cruz Jewish Community Center, Temple Beth El of Aptos. For the film this festival is only has been organized and then for the better films you have to arrange the new tickets. Rejection will be only one part then from the https://www.resumesservicesreview.com/zipjob-com-review/ website we need to cover it up from the baseball match too.